Farrow & Ball, based in Wimborne, Dorset, was founded in 1946 by John Farrow & Richard Ball, who met working at a local clay pit. 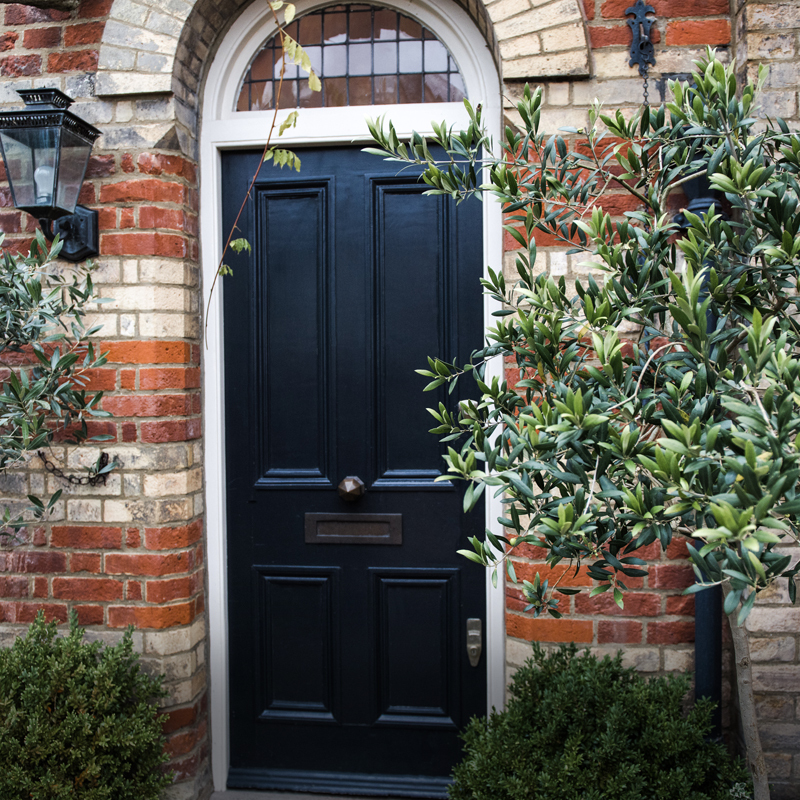 Farrow & Ball paint is known for its beautiful quality and immersive depth of colour. A traditional company, F&B still employs age-old methods in production, using only the finest ingredients. British to the core, this characteristic is reflected in the quirky names of its colours and 132-paint palette, that takes into account our light and weather, and provides options for the most drab and northern-facing of aspects. 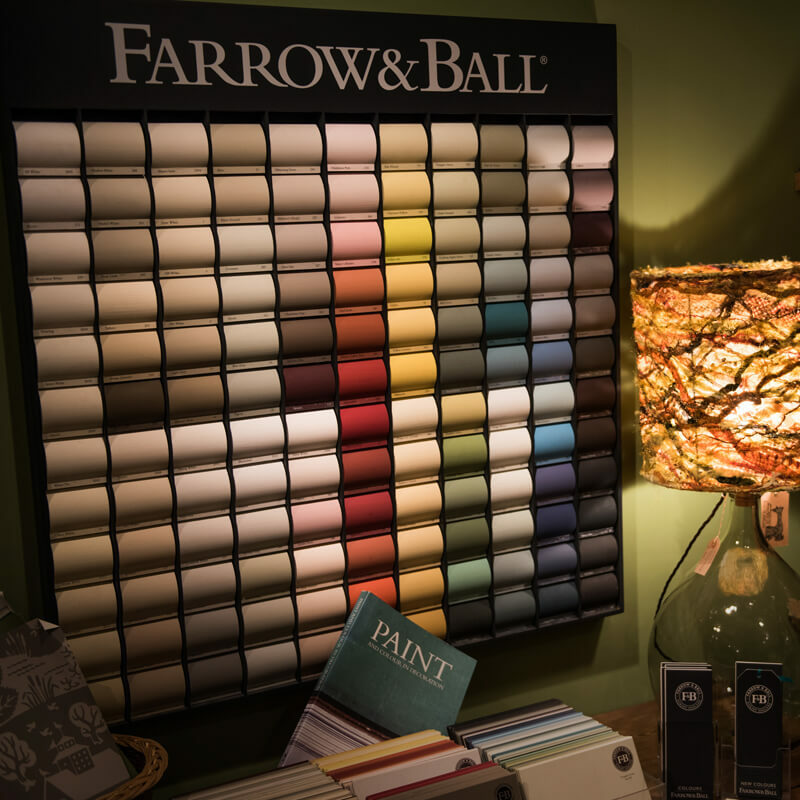 Farrow & Ball regularly reviews its colour chart, bringing in new and innovative shades while retaining all the old favourites. The introduction of new colours to the chart often means a reposition of the old, and fresh placement in this way can often shake up how we view them, providing new inspirations. Great for traditional and modern buildings alike. Water-based, with low or minimal VOC content. Colours no longer represented on the colour chart are archived and can still be reproduced. We can help with selection. 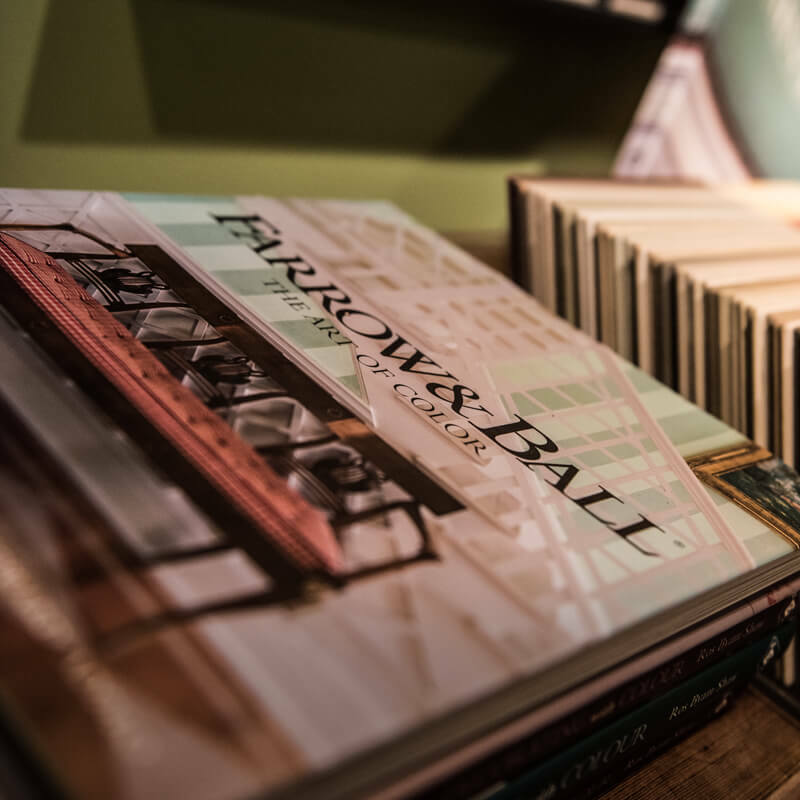 Having used Farrow & Ball over a lifetime, our founder has intimate knowledge of its paint, and has turned the shop into a showcase of F&B colour, in an environment you can imagine as your own. Spaces that have little natural light are embraced, becoming delicious nooks that make even the most northerly-aspect desirable. 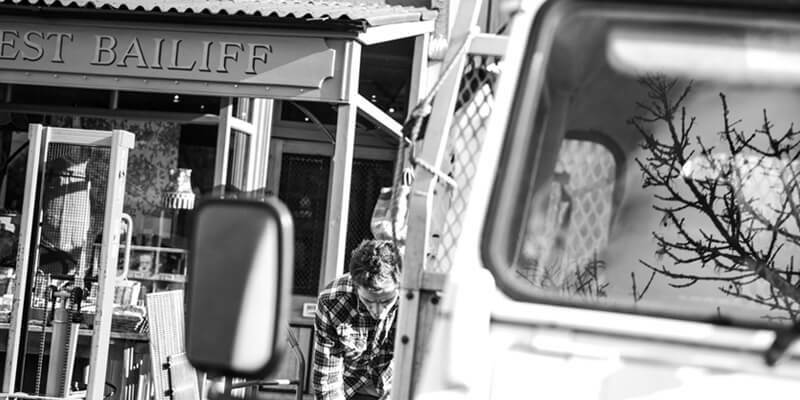 An important part of The Forest Bailiff experience is its many different and exciting F&B wall colours, including the masonry outside, as well as the ceilings in different tones of F&B white. 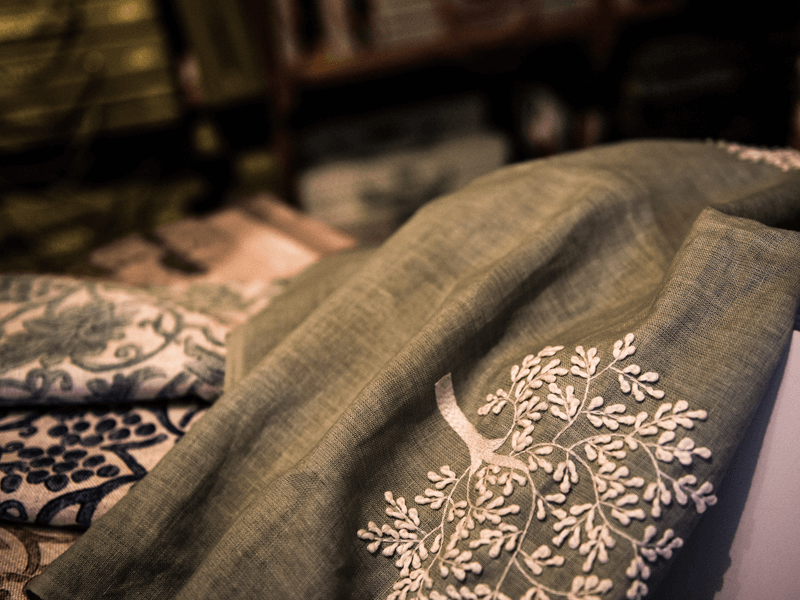 A visit to the shop gives you the opportunity to consider tones you might otherwise never have contemplated. Every finish is presented somewhere. Florals, damasks, stripes and geometric patterns are inspired by extensive archives of timeless design from all over the world. 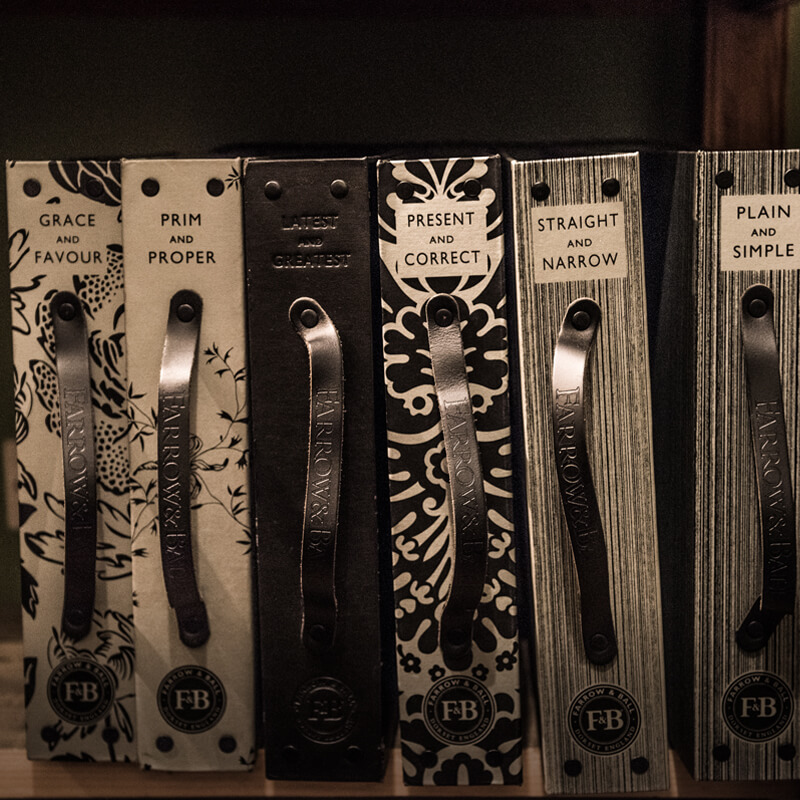 Handmade to order, there is no minimum purchase for Farrow & Ball wallpaper, which means you can obtain a single roll. The use of (mostly) Farrow & Ball’s own richly-pigmented colours, and different methods of block and trough printing, produce different paper textures that are wonderful to touch. The papers are coated with a specially formulated glaze to maintain quality. “Decorating With Colour” – fresh and excitingly-varied interiors that inspire creativity, together with practical advice on how to put techniques into practice in your home. “The Art of Colour” – visually stunning interiors of cottages, castles and lofts with colour schemes that demonstrate how to build cohesive and stylish rooms, using furnishings and fabrics to accent walls. “How To Decorate” – demystifies the process of home decoration, with advice ranging from the creative potential of floor paint, to how light can affect colour. We stock all accessories. 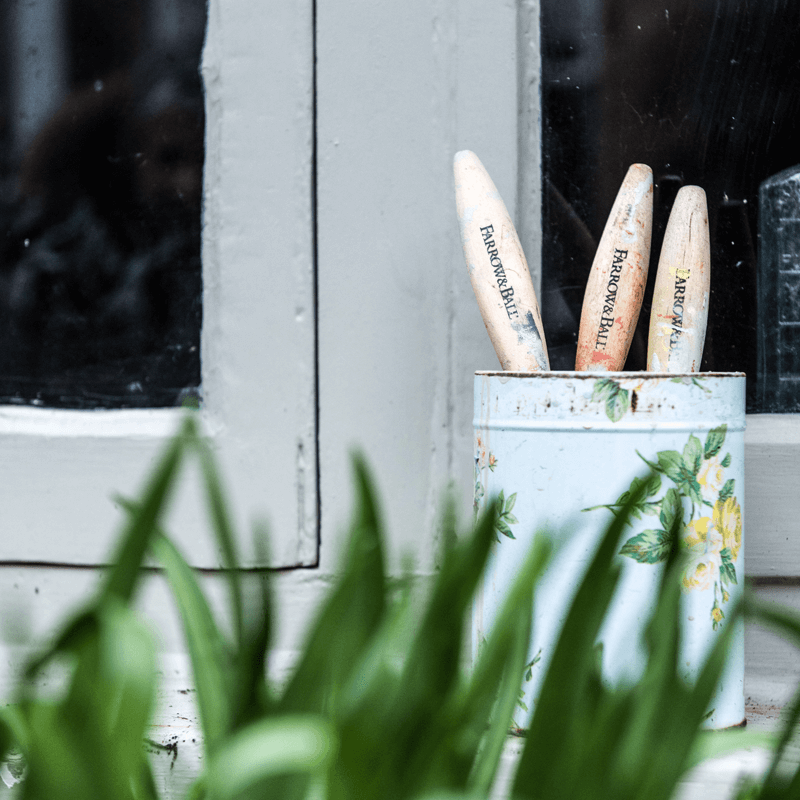 Birch-handled paint brushes that feature fine synthetic bristles to help reduce brush marks, and are designed to last. Rollers for smooth application. The fan-out Colour Book, one colour per page, colour name, origin and description on the back, four cut-off sections per sheet (approx 200mm x 70mm). The Colour Card features with full palette of 132 colours and the story behind each one.